This book is concerned with the ways in which the problem of security is thought about and promoted by a range of actors and agencies in the public, private and nongovernmental sectors. The authors are concerned not simply with the influence of risk-based thinking in the area of security, but seek rather to map the mentalities and practices of security found in a variety of sectors, and to understand the ways in which thinking from these sectors influence one another. Their particular concern is to understand the drivers of innovation in the governance of security, the conditions that make innovation possible and the ways in which innovation is imagined and realised by actors from a wide range of sectors. The book has two key themes: first, governance is now no longer simply shaped by thinking within the state sphere, for thinking originating within the business and community spheres now also shapes governance, and influence one another. Secondly, these developments have implications for the future of democratic values as assumptions about the traditional role of government are increasingly challenged. 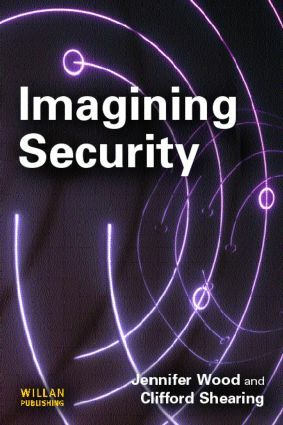 The first five chapters of the book explore what has happened to the governance of security, through an analysis of the drivers, conditions and processes of innovation in the context of particular empirical developments. Particular reference is made here to 'waves of change' in security within the Ontario Provincial Police in Canada. In the final chapter the authors examine the implications of 'nodal governance' for democratic values, and then suggest normative directions for deepening democracy in these new circumstances.